It’s been a year since Dan Hardy became managing director of National Business Crime Solution (NBCS). In this article he reflects on this period and explains why preventing crime through intelligence sharing will only happen if business leaders buy into the strategy and there is greater collaboration between all crime management stakeholders. The American scientist, Carl Sagan, once said that ‘you have to know the past to understand the present’. Having just completed my first year as head of NBCS this is especially relevant, as I look over the organisation’s achievements over the last 12 months and plan for the future. Having secured significant government funding as part of the Police Transformation Fund, a Home Office programme that offers an opportunity for police leaders and police and crime commissioners to respond to the changing nature of crime, the task I was given when appointed was to take NBCS to the next stage of its development and fulfil its role in supporting businesses and the police in the fight against offenders. NBCS is working hard to become the UK authority on public to private data sharing, as well as being a critical friend of business, the police service and all business crime reduction partnerships. This involves helping our members see the bigger picture and the full extent of the potential threat created by prolific or persistent offenders, issuing alerts on trends and patterns to help all businesses better understand any potential risks and how they might use their resources to reduce them. If you think this sounds like a lot to achieve, then you’d be correct. However, solid progress has been made and NBCS has created a new legal entity with supporting articles that represent a true business membership organisation, with governance and implementation boards that include members and key stakeholders. We have also implemented a new business structure, supporting policies and protections, and seen significant growth via new memberships. In addition, our associate membership scheme has been carefully designed to give vendors unfettered access to senior decision makers at some of the nation’s most prestigious organisations. Furthermore, our new civil injunction service for retailers has been well received, our members’ days are proving popular and the Business Impact Reduction Days (BIRD) have proved highly successful. So, with so much to be positive about, it might seem strange that I also complete my first year at NBCS with a certain degree of frustration, disappointment and confusion. This originates from both within the crime management spectrum and from those working in the retail sector that we are trying to help. It has led me to conclude that unless there is a step change in attitude from all relevant stakeholders, we will not move forward in any meaningful way and the issues that affect us now will continue to affect us in the future. Ultimately, it seems that powerful individuals from across the sector prefer to pay lip service to certain issues rather than drive change through collaboration. We fully accept that we are not the only organisation out there that aims to help retailers reduce the impact of crime and help turn around the fortunes of the high street. 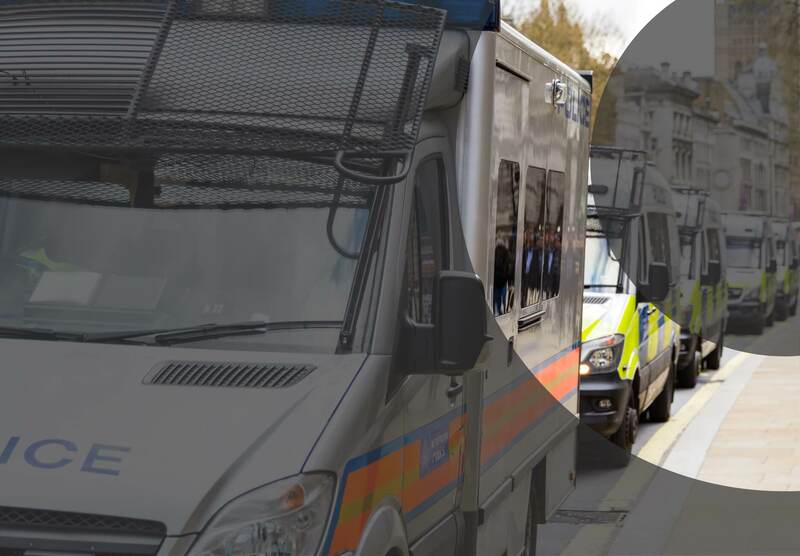 However, most crime management organisations work on a local basis, while NBCS works nationally – this means that we all have slightly different agendas but are all working towards a common goal. Common sense would suggest that there is strength in numbers and that pooling knowledge, ideas and expertise could help further everyone’s objectives – yet the reality is completely the opposite. Instead of welcoming the opportunity to collaborate, crime management organisations have been distrustful and fairly negative. The reasons for this stance can only be put down to a reluctance to being challenged and a desire to maintain the status quo – a status quo that is directly contributing to the problems currently faced by high street retailers. It is no exaggeration to state that the UK high street is facing a long-term, continuing decline, as more people shop online in search of better deals, firms go bust and mergers and acquisitions continue apace. The Guardian recently reported that at least 20 per cent of retail space will need to close over coming years as costs, including business rates and wages, rise while sales in physical stores continue to fall. The situation is forcing a rethink about how high streets will look in years to come and it seems that many retailers are ‘fiddling while Rome burns’. This apathy is reflected in the way that many retailers address tackling crime, and there are certainly some that take the issue far more seriously than others. There are those that think the answer to preventing theft and tackling the rise of violence within is simply to hire a manned guard to stand by an entrance or exit. Others, however, like current NBCS members, are more forward thinking in their approach and see the value in using technology and intelligence sharing to create a wealth of information that allows companies to take preventative action, tackle the full nature and extent of the threats they face and engage with the police. There is a good return on investment (ROI) argument to be made for more widespread collaboration between retailers to pool knowledge, share information and resources, build a safer working community and set up crime prevention initiatives. However, the General Data Protection Regulation (GDPR) is making companies wary about sharing data, as it requires any organisation that handles the personal data of people that reside in the EU to implement a strong data protection policy, encompassing access, secure storage and destruction. The hyperbole surrounding this subject on the lead up to its recent implementation was astonishing and stories tended to focus on the potential for non-compliant firms to be fined up to four per cent of global turnover or €20m – whichever is larger. However, GDPR should not be considered a barrier to legitimately preventing crime, lowering risks and protecting employees, and retailers must not use it as an excuse to do nothing. As a not for profit public private partnership, one of my other key priorities was to make NBCS sustainable and allow it to operate as an entirely self-sufficient, self-governing entity, which is totally funded and controlled by members, while being open to all businesses and government enterprises. Raising funds and increasing income is one of our biggest challenges and we have had to evolve in the face of social change – a not for profit organisation is still a business that has to have a positive bottom line or, at least, break even. Creating a steady income is paramount and if that isn’t possible it can make budgeting a real challenge. Furthermore, income can be unsteady throughout the year, so we have to secure enough to cover overheads before seeing what is left for projects. This means that those members that don’t pay their fees in a timely manner can end up putting the entire operation in jeopardy. 60-day terms should not be seen as an opportunity to extend payment to 95-days. Active members are the lifeblood of any organisation and without them it will die a natural death. However, there has been a drop in the number of companies becoming members of such organisations in recent years due to financial constraints and the fact that, particularly in retail, companies often have to pay business rates, a levy to a Business Improvement District, a retail radio scheme, a Business Crime Reduction Partnership (BCRP), as well as membership of NBCS. Retailers need to start questioning their ROI in these schemes and be more selective about which ones they invest in. I believe that we have reached a fork in the road in terms of how we reduce retail crime and help reclaim the high street. On the one hand we can do nothing, be complicit in a steady decline in all our fortunes; watch violence, fraud and theft increase; and see more high street stores close. Alternatively, we can engage in transparent collaboration, eliminate personal agendas, focus on the greater good, support communities, embrace change, lower costs, rise to the challenges posed by online retailers and share our resources. Obviously, I hope that the latter path is chosen but, ultimately, it comes down to one simple question – what does the retail business community actually want, and what are they prepared to invest to support this?